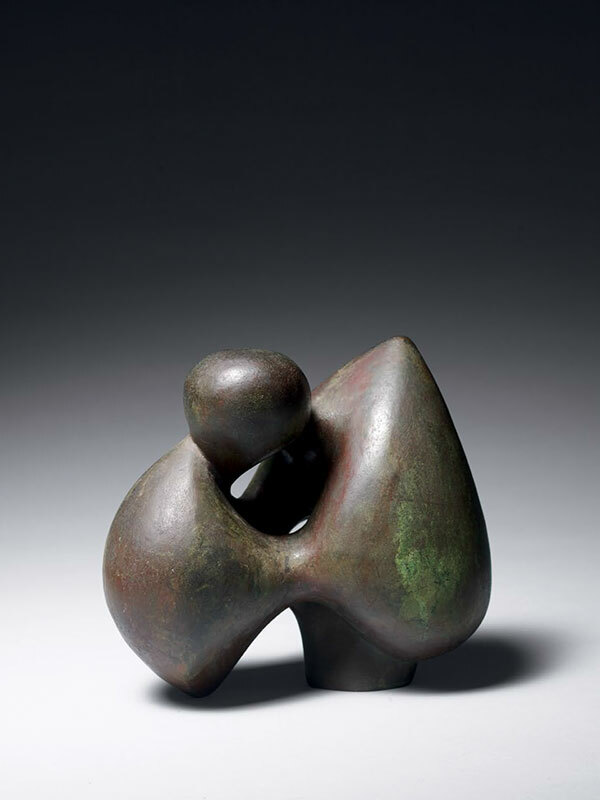 A bronze sculpture of stylised anthromorphic form, comprising what looks like a stylised figure clutching a large fruit. The material has a dark brown patina overall, suffused with a few green flecks. The sculpture is signed on the base rim of the fruit ‘Otani’. Fumio Otani was born in 1929 in Tokyo and died in Paris in 1995. He worked in France for a great part of his life and several exhibitions of his work were held there.